China - opportunity or threat? At the height of the summer this year, the eyes of virtually the entire world turned to China and to the spectacle of the Olympics taking place in Beijing. For the past few years, though, much of the industrial world has also been turning its attentions eastwards – and, just as importantly, China has been looking beyond its own borders. For the vision industry, the country’s move towards industrialisation – and its consequent interest in automation – has provided an enormous potential market. 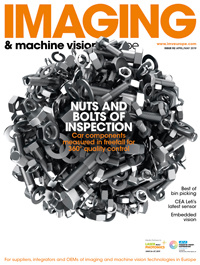 Indeed, the AIA’s recent Machine Vision Market Study included a chapter on China for the first time, in which it described the nation as ‘perhaps the most exciting geographic market for machine vision products currently’. China’s entry into the World Trade Organisation in 2001 boosted its exports and its levels of investment. Indeed, the nation’s economy has been growing at or near double-digit growth for the past five years or more. The AIA report reveals that automation has been growing at an astonishing rate of 25 per cent per year, as businesses look to replace inefficient manual production lines and outdated equipment with state-of-the-art automation. So, the market is certainly there, but how easy is it to reach? As a nation that has only very recently opened its doors to international trade, there are still many teething troubles not present in more established economies. In China, there are still strict rules regarding the structure of a foreign-owned business and, of course, there are various tax laws to negotiate. Indeed, a recent change in Chinese tax law has reclassified machine-vision cameras from one category to another, raising the tariff from six to eight per cent to 35 per cent. For Western companies seeking entry to this market, the first option is to find a local distributor, an approach taken by many familiar names, such as Dalsa, Euresys, JAI and several more. Many of these relationships are established at the biggest trade show, Vision China, which is attracting more and more Western companies every year. While China is receiving a major push from camera manufacturers, those suppliers operating in the high-end niches of machine vision are taking a more cautious approach – at least for the time being. ‘In terms of our Asian markets, there are other places ahead of China that we’d focus our “on the ground resources” at the moment,’ says Francois Bertrand, vice president of sales and marketing at Matrox Imaging, which produces a software toolbox and associated hardware for vision system designers. There is no immediate threat to the Western market from Chinese suppliers – but that is bound to change. The market there, though, is taken seriously. Matrox has ensured that there are Mandarin speakers available at its Canadian headquarters in every department, so that the distributor – and indeed the customers – have local language support. Bertrand himself also travels in person to events such as the China Vision Show, where the presence of a senior member of staff from a supplier such as Matrox is expected by local distributors in order to demonstrate commitment to the territory. Likewise, Allied Vision Technology (AVT) has begun distribution in China and signed an agreement with China Daheng, a supplier of machine vision solutions based in Beijing, in 2007. AVT predicts the Chinese vision market will grow in the coming years, as Frank Grube, president and CEO of AVT, says: ‘We see a growing interest for machine vision in China as the quality standards rise along with the labour costs, which makes machine vision increasingly attractive. Cognex also has an established presence in China, with two offices, one in Shanghai and one in Shenzhen, already up and running. ‘China is a key strategic market for Cognex,’ says Peter Neve, vice president of global marketing at Cognex, a supplier of machine vision systems. ‘As the country becomes more developed and the volume of manufacturing begins to take off the need for machine vision becomes greater. ‘China is growing faster than anyone else in the world and the high levels of manufacturing expected in China will go hand in hand with machine vision products,’ comments Neve. Cognex opened its Shanghai office four years ago and Neve indicates that plans for further offices are underway, with the aim to set up a network of machine vision suppliers in the country. Vision-related trade shows in China are increasingly popular with Western suppliers. Image courtesy of EMVA.